The audit found D.C. Water's records indicate 79% of the water service lines on customers' property are made of unknown material. D.C. Water isn’t doing all that could be done to reduce lead levels in the District’s drinking water, according to an audit by the city’s Office of Inspector General. While “The District has made considerable improvements since 2001 when the District suffered a crisis of elevated lead levels in the drinking water,” the audit found D.C. Water’s records indicate 79% of the water service lines on customers’ property are made of unknown material. The Centers for Disease Control and Prevention and the Environmental Protection Agency agree there is no safe level of lead in a child’s blood. The greatest risk of lead exposure is to infants, young children and pregnant women. Even though the EPA has set the maximum contaminant level goal for lead in drinking water at zero, it established the Lead and Copper Rule, which requires water utilities monitor the effectiveness of corrosion control to detect whether the levels of lead in drinking water are at or below 15 parts per billion. If they exceed 15 ppb, action must be taken to comply with the 1974 Safe Drinking Water Act. The District’s drinking water is supplied by the Washington Aqueduct, which is responsible for filtering, disinfecting, removing contaminants and putting pipe corrosion control treatment into water drawn from the Potomac River. The 2001 lead in water problem was sparked by the Aqueduct’s change of a chemical in its process, which resulted in lead leaching into the drinking water, which drove levels above the lead action level of 15 ppb. Lead levels in the District’s drinking water have been at or below 15 ppb since 2005. The EPA required D.C. Water to initiate an accelerated lead pipe replacement program in 2003. However, property owners own the water service line that runs from a public main to their homes, as well as the pipes inside the homes. 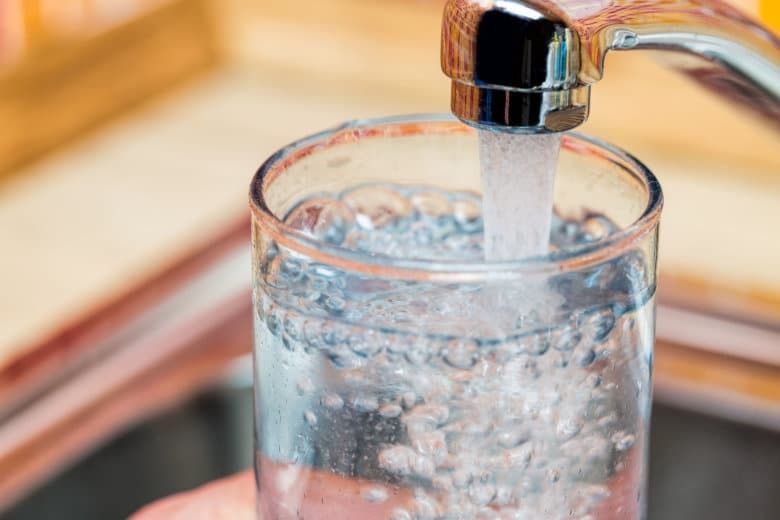 “According to the EPA, the pipes that connect the home to the water main are service lines, which are typically the most significant source of lead in the water,” said the OIG report. But the District’s water company doesn’t have an accurate snapshot of the scope of the problem. “The OIG found that DC Water could not identify the type of pipe material for 79% of water service lines in the District’s water distribution system,” said the report. “D.C. Water stated poor record maintenance, lack of historical pipe installation records, and the lack of updates from customers who replace lead service lines on their property contributed to the inaccurate and outdated data on service line materials,” according to the OIG. Among its nine recommendations, the inspector general’s office suggested D.C. Water develop a plan to identify the unknown pipe materials, and correct service line information discrepancies. D.C. Water has said it wants to increase homeowner awareness of the importance of testing for lead on private property, to ensure it is not leaching into water in the pipes between the public water mains and faucet. In addition, the utility said it will attempt to inform the public about programs that provide funds to help customers with financial support to replace their lead service lines on private property.